Colour photograph showing the site of 244 Brock Street South shortly after the building was demolished. 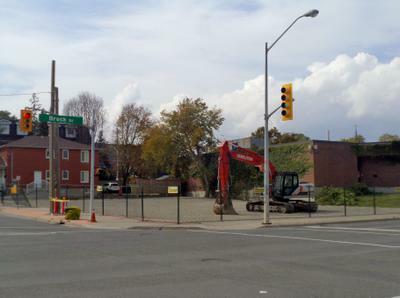 The building was demolished to make way for the construction of the Brock Street Brewery. 244 Brock Street South was originally constructed sometime between 1919 and 1934. It was the location of James Sawdon's coal and fuel business until 1967 when the building was sold to P. Sorichetti & Sons. This building was demolished on September 13, 2016.